Prestatyn was the first of the holiday resorts along the North Wales coast. Originally having 4 through platforms, its still retained 3 of them in the 1970s. It had also been the junction for the branch to Dyserth, and the connections and sidings for this (including the former bay platform) remained intact. 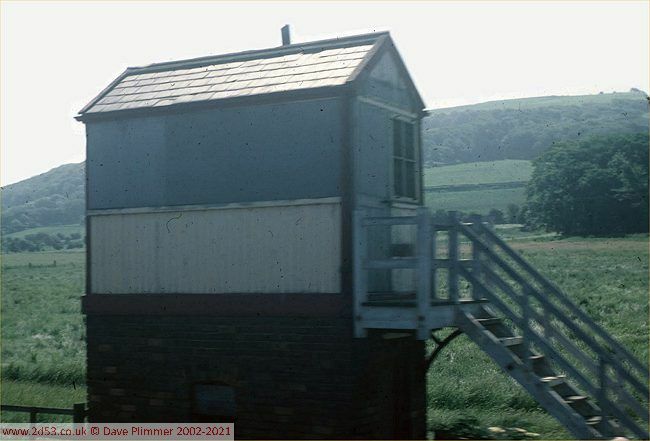 This is Nant Hall signal box, east of Prestatyn, seen from a passing train on the 25th June 1976. This box was used on Summer Saturday mornings only, and its function was to split the block section between Talacre and Prestatyn to avoid delays when a train slowed to cross to the Down Slow at Prestatyn. Originally this box had controlled 4 signals - Down Fast and Down Slow distant and home - but by this time had only 2 Down line signals to control. It never had any signals on the Up line. It is reported to have closed on 16/12/1975, but apart from the removal of the nameboard this was its normal operational condition! The North Wales coast line had had a number of these seasonal signal boxes, but this was the last to remain in use. The 16:42 from Llandudno to Crewe arrives at Prestatyn on the 13th July 1978, and to my horror 25169 is in charge instead of the expected Class 24. What gets the attention now, though, is that the sidings are crammed with coal wagons - in the former Dyserth bay behind the far platform, and on the start of the closed Dyserth branch curving away in the background. I seem to remember that wagons were being scrapped in the goods yard at Rhyl, but I'm not sure. 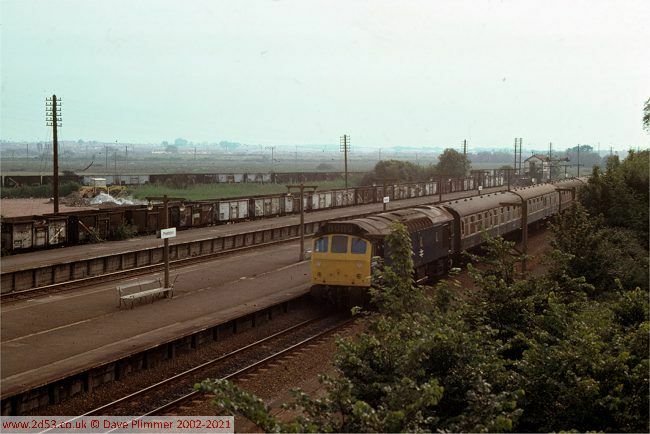 At this time Prestatyn had three platforms in use. Ironically, the down slow platform, the one without lighting, was the one used after 10pm! (Explanation on the Rhyl page). The Dyserth branch closed to all traffic in 1973, but the track remained in situ through the 1970s.